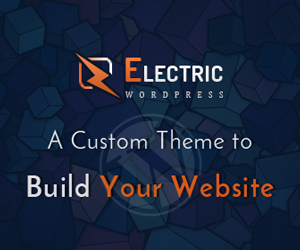 How to build your Charity & Fund Raising Website Easily Premium WP Theme? 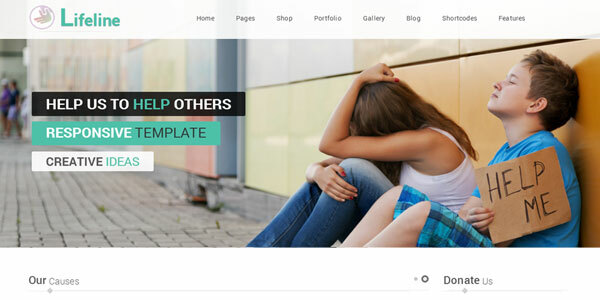 Home » Wordpress » Themes or Templates » How to build your Charity & Fund Raising Website Easily Premium WP Theme? As more and more people are coming to know of the miseries of the humanity in the hidden junk of the world, they are developing philanthropistic spirit and are trying to promote the same vision among others. The development of an online platform is considered to be the most effective way for the propagation of the idea and the collection of fund. That is why the humanitarian organizations are always in the want of such a web building tool that is light, clean, clear, user-friendly, as well as search engine friendly, like that of Lifeline premium WordPress theme. This fully featured and very powerful template contains alpha and omega essentials of an excellent charity and fund raising website. The most convincing feature of the product is its advanced and ready to use online fund raising and money collection system. Quick site building and easy customization with least effort are deemed to be the demand of the day for a busy worker who is not having professional expertise in the field of web development. This is exactly what you find at your disposal in this very product. The features like the Visual Composer page builder plugin, Revolution Slider, WooCommerce support, Contact Form 7 and eighty-five (85) very useful built-in elements make the creation of pages and construction of entire website extremely easier and a lot quicker than it would have been otherwise. With the help of ‘drag and drop’ facility, you can sequence and arrange any number of desired elements on the page in a little time. Another great thing that makes customization easier is the foundation of the product on the latest version of the WordPress platform. This modern blogging tool and content management system doesn’t require customization through code editing, but it involves working simply with visuals to bring about any modifications on any page or section of the product. Though a sufficiently large number of built-in pages are already there, yet even if you have to create the one, just go to “Pages => Add New”. Here you can build and customize a uniquely styled page through the Visual Compose plugin, and it will be the matter of a few seconds. For adding an element from the available collection, you are required to click on the “Add Element” option and a pop up window will appear with the list to choose from. In case you want to change the language of your theme, there is nothing to worry about, as the world known premium plugin for WordPress translation is included in the package—WPML plugin. The other things which contribute to saving time and effort include the entire set of Google Fonts & Font Awesome icons, multiple post formats, RTL language support, built-in PSD files and the single click option for boxed and wide layout. Cool mouse hover animations, elegant graphics, perfect symmetry and refreshing outlook are some other great features which contribute to its worth and utility. In short, in the Lifeline theme, you will find almost everything ready-made which you may ever need for building a successful charity, fund raising, or an NGO website.